Few things could ever make you forget your experience with us at Niagara Parks, but just in case, Niagara Parks Shops has the keepsakes to help make it stick. The memories you take home are made by you, but our specially curated selection of products are made by local artisans and beloved Canadian brands like Roots Canada and the Hudson’s Bay Company. Shop for keepsakes and apparel at a variety of unique shops located across the park! Few things could ever make you forget your experience at Niagara Parks, but just in case, Niagara Parks Shops has the keepsakes to help make it stick. 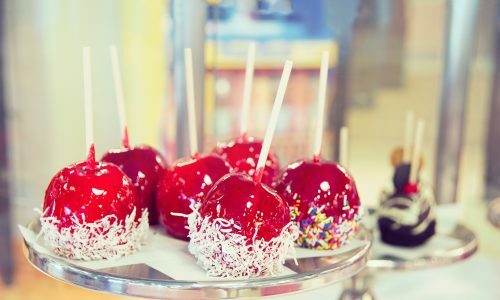 Get lost in the aisles of sweet treats & watch confectionery chefs prepare their delicious treats in-store! This two-level outdoor marketplace is the perfect place to browse, enjoy shopping and grab a bite to eat. All with a panoramic view of the falls! Located on the lower level of Table Rock Centre at the brink of the Horseshoe Falls. Located across from the American Falls in the main floor of historic Queen Victoria Place, the wide variety of souvenirs offers something for everyone.